Some parents might think that fantasizing is a waste of time for their children. It seems that children will be better off doing some sorts of activities rather than letting their own imagination run wild. As a matter of fact, this is not always the case. University of California scientists stated that we spend 30 percent of our lives fantasizing or daydreaming. This number rises to 70 percent while on long trips. It is also said that those who like to fantasize will be more creative and adept in solving problems and avoiding stress. According to an expert in education, creativity and innovation from the United Kingdom, Ken Robinson, fantasy is the key to creativity and the ability to innovate. It also helps children learn better. Children tend to imitate words commonly spoken by adults, either directly or through the media. Supported by good imagination, children can quickly gather a lot of vocabulary. It helps them express what they feel in detail using the appropriate words. A study at Case Western Reserve University, the United States, found that children with more imagination were better at problem-solving. Children’s fantasies tend to imitate adults’, letting them memorize the things adults do when facing problems. They will then apply what they memorize and fantasize about in solving their own problems. 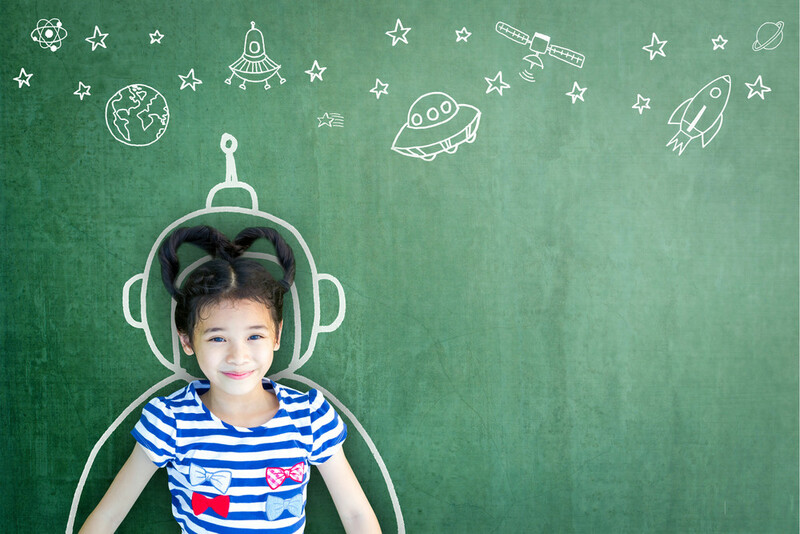 According to expert Eugene Schwartz, children full of imagination will grow into creative individuals because using imagination develops children's creativity. As in the case of Harry Potter series author JK Rowling, she claimed her story ideas came from fantasy. Fantasizing tends to make us put ourselves in others’ shoes. It increases the level of empathy and our way of thinking about a situation.